Notes: New Year is when we tend to get all reflective about what’s gone on over the past twelve months, and speculative towards what the next twelve will bring. 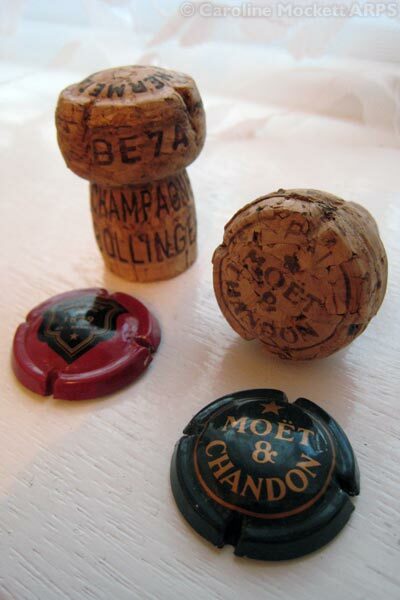 Since the weather’s been less than lovely today, I decided to do a little bit of still life – here are a couple of spent Champagne corks and the medallions from the top, lurking on my kitchen window sill. The Moët was from my retirement going freelance party back in April (looking back), and the Bolly was what we toasted the New Year in with (looking forward). I can’t help having expensive tastes!